You have an inherent love of initiating things Aries, and whilst 2019 offers rich possibilities for you to do precisely this, some strands of your situation are going to be about the consolidation of what you have been working on for some time. Take seriously your goals and ambitions, for with hard work and application, rewards and recognition can seek you out. If you're less sure about what you want to achieve, this year can be one of new adventures, exploration and fresh possibilities. This can be particularly true from March, when Uranus returns to your sector of resources. This and Jupiter's journey through your 9th Solar House, can see quite a shakeup. With the North Node reversing in Cancer all year, the Solar Eclipse of the 2nd July can be a precursor to improving where you live or perhaps moving altogether. Whilst travel is possible, this could be related to your work, but finding moments to retreat and recuperate will be gratifying too. Mark the 6th of March in your diary Taurus, for this is when Uranus will return to your sign where he will stay until April 2026. It's not too much of an exaggeration to say that this could be one of the most important periods of your whole life. Why? Well, Uranus is essentially about revolution, freedom, individuality and in many ways, change. Because of the fixed nature of your zodiac sign, you are someone with a real appreciation of stability. But even if your routines are very well-established, change can be as good as a rest, and 2019 can be your opportunity to refresh any area of your existence which has become stale or outworn. Now, at the turn of the year, the Sun is going to be conjunct with Saturn, and along with Pluto, all three are located in your sister Earth sign of Capricorn. So these too are pushing you to be more adventurous, open to new ideas and new ways of being. It's possible for some Taurus people that you inject your enterprise into some kind of activity which sees you do well financially or in business. Your ruler Venus also links superbly well to Pluto at the turn of the year, so you should be optimistic that if you can embrace new possibilities, these can significantly enhance your existence. Your relationship sector sparkles beautifully into life as Jupiter penetrates deeper into the sign of Sagittarius. The reason this is particularly positive for you Gemini, is that Jupiter is the ruling planet or guide of Sagittarius. So for the first time in twelve years, this transit can give you increased opportunities around relationships of all kinds. However, with Jupiter we have to put the work in, so the more you can interact with others the better your chances are to improve harmony, personal understanding or even finding a truly wonderful relationship. More settled ties could though be influenced by Uranus's arrival in your 12th Solar House, in March. Any little issues which had been bubbling in the background could come more to the fore. Financially, an excellent Solar Eclipse early in July, along with the North Node's reversal through Cancer, can see you enjoy a slice of good fortune in the second half of the year. But your resources will require careful stewardship all through 2019, and that old maxim of the harder we work the luckier we get, could play out significantly for you. It may seem like the record is stuck, but just like the last few years, relationships really are going to be at the heart of your possibilities for 2019, but perhaps this year in a slightly different way. It may be that whilst there can be rich rewards from building closer co-operation with people, the key relationship that's going to change this year is set to be with yourself, and your understanding can deepen at how you interact with others. 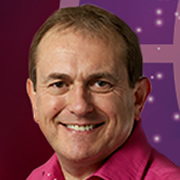 However, I think it is true to say, that with the revolutionary influence of Uranus shaking up your sector of friendships and group involvements, and your own personal philosophy, and the North Node's passage through your sign all year, you are much less likely to accept second best when it comes to an intimate relationship. This is a year when you can find yourself in the mood to be highly productive. 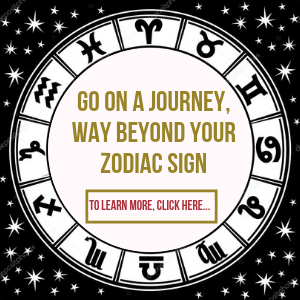 Your physical vitality can increase, and the Cardinal quality of your zodiac sign can be manifested from the time of your birthday much more powerfully. In other words, you can be keen to take a firmer grip on your life direction and be more assertive. All this will be boosted by Mars' location at the start of this year, in your 10th Solar House, which can prime your go-getting credentials superbly well. The North Node, the point of Destiny, is said to represent an almost mini Jupiterian energy. This year, this could see you turning a little more inward, or at least becoming more open to spiritual strands, personal development, healing and recuperation. Ironically, a marvellous location of Jupiter itself, for much of 2019, can urge you to demonstrate your more playful and creative urges. This is enhanced further still by Mercury's sensational angle to Uranus at the turn of the year, which can push you to be open to innovation, higher education and travel. With Mars, the power planet, also back in its home zone of Aries as January begins, you will likely want to push the boundaries of your existence and take a more devil may care attitude. But the arrival of Uranus back into the sign of Taurus after a five-month hiatus, suggests that it can be your role in life that needs to be transformed most of all. Changes at work are particularly possible, as you seek new stimuli and meaning. The North Node is going to be activated furthermore by the Cancer Solar Eclipse of 2nd July, so however much this year's journey can see you looking outwards and also making changes in your external affairs, it's going to be the ones which evolve within you that have the greatest impact. Whatever talents you have, and whatever personal hopes and wishes you would like to manifest in your love life or creatively, some kind of change is probably inevitable this year Virgo. Because you can be a sacrificing person, often involved in jobs which require precision, providing services, support and practical assistance, it's also going to be important in 2019 to toggle with this, and understand that new frontiers await, and what might have served you well for many Moons, is in a state of transition. Principally, this is going to be down to the journeys of both Saturn and Pluto to your 5th Solar House of Capricorn, but also the role of Uranus in your sector of expansion from 6th March. Too much giving to others and not enough embracing of your own individual needs, is going to see you feel compromised this year, and potentially also resentful. Identifying what you want to move forwards with yourself is the crux, and it's possible that something that was once very important is losing its lustre. But the North Node and the solar Eclipse of 2nd July, give you cause for optimism. This may see you interacting with others on a wider basis, and perhaps learning to relax a little bit more, and strange as it seems, being rather less virtuous. We only live this life once, and the planets are asking you to enjoy every single minute, even if some kind of change is occurring, but most of all make the most of your individual gifts. Transformations in your home environment can continue this year, but I also feel that whatever you have been developing in recent times, can also become more bedded down and established, or conversely, you may move altogether if your circumstances are not ideal. It's true that Uranus can continue to provide an unsettling influence around your relationships, but especially those of a more intimate variety. As the year begins, Mars in its home sign of Aries is also going to give you a lot more oomph and desire to engage with people on your own terms, but that is seriously no bad thing. The 6th of January 2019, also sees a lunation in Capricorn, suggesting that when it comes to tuning into what's right as far as security of all kinds is concerned, this shouldn't compromise your personal instincts. The combination of Neptune in Pisces, and in the last year the North Node, the Point of Destiny in Leo, has made you especially aware of the needs of others. However, this is a year when your ambitions, goals and desires are going to come more sharply into focus, and your ideas and communicational skills will be a major part of raising your profile. Venus may have gone through a retrograde in your sign in October last year Scorpio, which saw you thinking very carefully about what you wanted from your relationships. But as 2019 dawns, she angles brilliantly to your modern ruler of Pluto, suggesting that you can be particularly passionate and persuasive when it comes to the things you believe in or a close relationship. With Jupiter, the planet of growth, emphasizing your resources, and the North Node pushing you to be more expansive and open to new ideas, even though Saturn and Pluto continue in a strident area, they will serve to help you to distil the ideas and thoughts that are really meaningful. This can also be a year when you find yourself wanting to break through any barriers and restrictions. Travel, higher education or professional development can all be things that grip you. But with Uranus moving into your sector of relationships, where he will stay until 2026, if there is any tie which has lost its sparkle, you may find yourself looking for a new, more engaging alternative. The wonderful news Sagittarius, is that your guide planet Jupiter returns to your sign for the first time in twelve years. He is also set to be with you for just over a year, and this can be a time of many new beginnings and bright possibilities. Jupiter bestows upon you your curious nature, love of new challenges and dislike of settling for the status quo. Yet the continued emphasis on your sector of resources has taught you, over the last year particularly, that you must balance your optimism with maintaining a stable, especially financial, foundation for your existence. But you are given the added bonus of Mars the planet of drive, being located in your sister fire sign of Aries, as the year begins. This is going to boost your creativity considerably, and with Mercury in your sign at the turn of the year linking with Uranus the planet of innovation, don't underestimate what you can achieve by following your hunches and taking the less trodden path. Just balance this with a careful marshalling of your resources. The location of July 2nd's Solar Eclipse, and the Nodal Axis and its link to stern Saturn, gives you a great opportunity to balance your enterprising qualities with achieving tangible and material results. 2019 is going to prime an opportunity for you to balance your own needs, expectations and goals with successfully interacting on an intimate and close basis with the people who are truly important to you. Venus is urging you at the start of this year, to embrace the concept of collaboration. There will be times this year when you don't get everything you want, and it may feel other people are not being very cooperative. But actually, the subtle influences unfolding are asking you to just achieve the right equation between doing what's good for you, but also making others feel part of things. For with Saturn sitting on your Sun at the turn of the year, along with a Partial Solar Eclipse on the 6th combining with Saturn in your zodiac sign, and Mercury hidden away in your 12th Solar House, rather unwittingly, you may give the impression of being somewhat aloof, withdrawn, preoccupied or even austere. The truth is of course Capricorn, that you will be focusing on the matters that are truly important, and your gift for prioritization means that you know you cannot spread yourself too thinly and must narrow your focus. But it will be how this is perceived. With the Nodal Axis impacted by Saturn from April 21st through to mid October, this delicate equation is going to be particularly acute. However, Jupiter and Uranus are going to urge you on the path of increased enlightenment, firstly by becoming more conscious of your spiritual potential and motivations, and latterly, by breaking away from any situation which is too restrictive as far as your self-expression is concerned. There's been such a massive emphasis on the 12th Solar House of your situation, that over the last year you may have found yourself going through a crash course in terms of understanding who you could really trust and rely upon. But also given you are the zodiac's armchair psychologist, discovering a fantastical amount more about what makes you tick, but the motivations of others too. Is this process at an end? Well, truthfully, no, Aquarius. But there is a shift of emphasis this year, and a lot of it can be very positive. Last year saw a massive sluggathon between your modern ruler Uranus and Mars in your zodiac sign, from mid-May through to late September. This could have brought some complex issues, particularly around your family, and emotional security very much to the fore. Though Mars is not going to be supercharged in your sign this year, it does start 2019 in a very positive location, and along with a fantastic angle between Mercury and Uranus, this combination gives you the chance to demonstrate to people from the get go, just how innovative and original you can be in your approach. But what's going to be vitally important this year, is to ensure that whatever you're investing your time and energy into, is well balanced. And if there is a lack of balance, this can throw up some issues, especially around your vitality or emotional well-being. Look to be as virtuous as possible around life organization, chores, physical activity, diet and nutrition and work. If all these things are monitored in a careful way, there are wonderful opportunities to progress. For with Jupiter's support, your networking skills and ability to collaborate, can see some fab breakthroughs at so many levels. You start this New Year with your traditional ruler of Jupiter in a superb location for you to raise your profile and be more ambitious throughout the whole of 2019. With your sector of creativity also superbly boosted, what's not to like? Well, the key to progress Pisces, is having a clear set of aspirations. If you're not quite sure about what you want, it's possible that you could move into scenarios which aren't ideal, so the clearer your plans are in terms of your long-term hopes, the better you are going to do. With Saturn emphasizing your friendships all year, and linking in with the Nodal Axis for a significant amount of it, it's possible that some old alliances will change. But nobody is going to leave your world who is truly right for you, and a process of evolution is being played out. This will be emphasized particularly by the Solar Eclipse of the 6th January, because you can be very fluid in your reactions and responses to situations, and therefore, very receptive, and you are being asked to take a more strategic view in how you approach life. With Uranus moving into your sector of everyday communications, and bright and breezy interactions on 6th March, some fresh ideas can pour into your existence, and be highly stimulating too. Neptune your modern ruler, is also going to be influential, and one of the things that you are going to crave this year is the platform to demonstrating your flair and creativity, and especially from mid-May to mid-September.